This resource includes information on how to access the Employee Forms Download Report. You will be presented with a list of employees that were emailed their forms and can view if/when the employee downloaded the form. 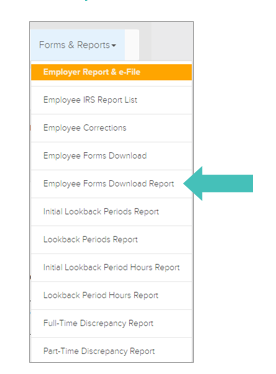 Under the tab Forms & Reports, select Employee Forms Download Report in the drop-down menu.